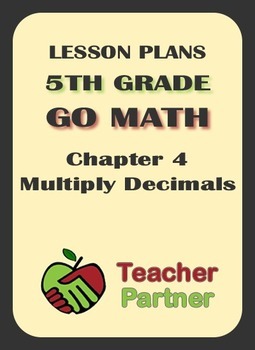 These lessons, aligned to the Common Core Standard, provide a comprehensive approach to teach multiplying decimals for fifth grade students. 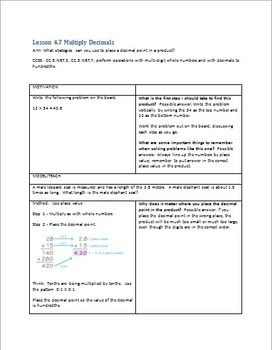 Components include the AIM (or Essential Question), objective, common core standard, motivation, model/teach, guided practice, independent practice and summary. 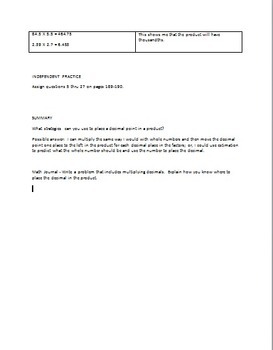 These plans pull together a rich collection of probing questions, discussions, guidance and easy to understand graphics. All questions are provided with solutions. 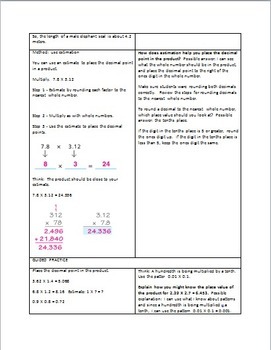 The lessons are based on Go Math Grade 5 textbook, and reference selected exercises for independent practice.